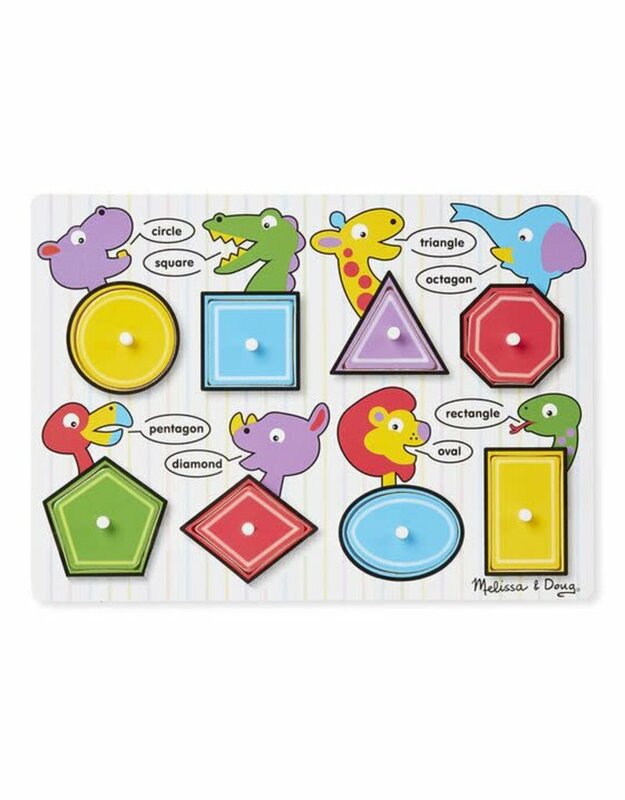 This wooden peg puzzle includes eight colorful shape pieces. 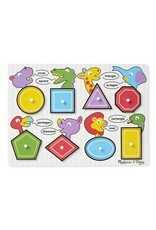 Each shape is identified by a label underneath the piece and by adorable animal illustrations on the puzzle board! Encourages eye-hand, fine motor and visual perception skills. Match the shapes as you assemble the puzzle.